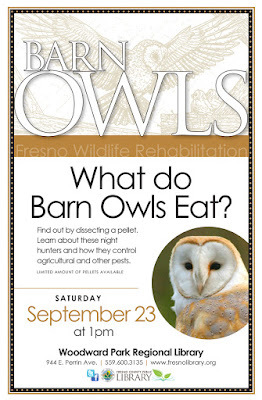 Seeking some family-friendly fun? Look no further than FCPL! Staff at our various branches are always planning new and exciting programs for you to enjoy, and this weekend is certainly no exception. Carryout Craft at Laton Library While supplies last, ask for a craft kit and create something at the Library or at home with your family. "Grandparents and Books" Storytime at Woodward Park Regional Library Join Library volunteer, Susie for some great stories! Homework Help at Woodward Park Library Call 600-3135 to schedule an appointment for free K-12 homework and study help from local teen volunteers. Family Crafts at Central Library Children and caregivers are invited to make a craft together at the Central branch and create a memory. Read to a Dog with Vinny the Great Dane at Sanger Branch Library Come read a story to registered therapy dog, Vinny the Great Dane. 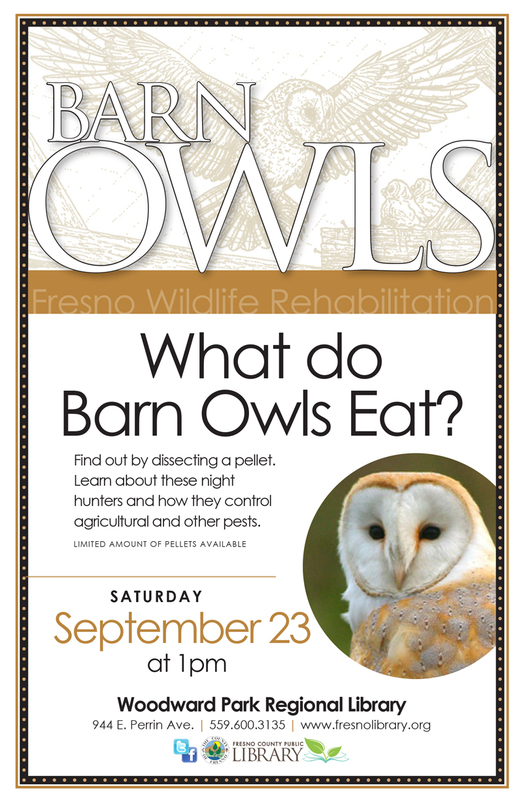 Barn Owl Study at Woodward Park Regional Library Dissect a barn owl pellet (supplies limited) and learn all about owls with Fresno Wildlife Ambassadors! Homework Help at Woodward Park Regional Library Call 600-3135 to schedule an appointment for free K-12 homework and study help from local teen volunteers. Baby Storytime at Sunnyside Regional Library Children ages 0-3 are invited to come practice early literacy skills with Librarian Ms. Allie! Learn fun songs, rhymes, stories, and fingerplays. Afternoon Movie at Sunnyside Regional Library A FREE showing of a movie suitable for all ages, plus FREE popcorn! We don't know about you, but we're skipping the local movie theaters this Sunday and heading to the Library. Geeky Craft Time at Woodward Regional Library This is an ongoing program. Join us for the next session, Tues., 9/26 at 4 pm, when we'll be creating Blackout Poetry for Banned Books Week! 9/27 at 6:30 pm: An evening of Folklorico Dancing and Storytelling at Sunnyside Regional Library Join us as performers from Ballet Folklorico y Marimba de Fresno demonstrate Folklorico dancing, with a little history and a lot of music. Afterwards, we’ll have professional storytellers kick off a Story Jam, with an opportunity for people in the community to tell their own personal stories. Afterschool Kids Crafts at West Fresno Branch Library This program meets every Thursday at 3:00 pm. 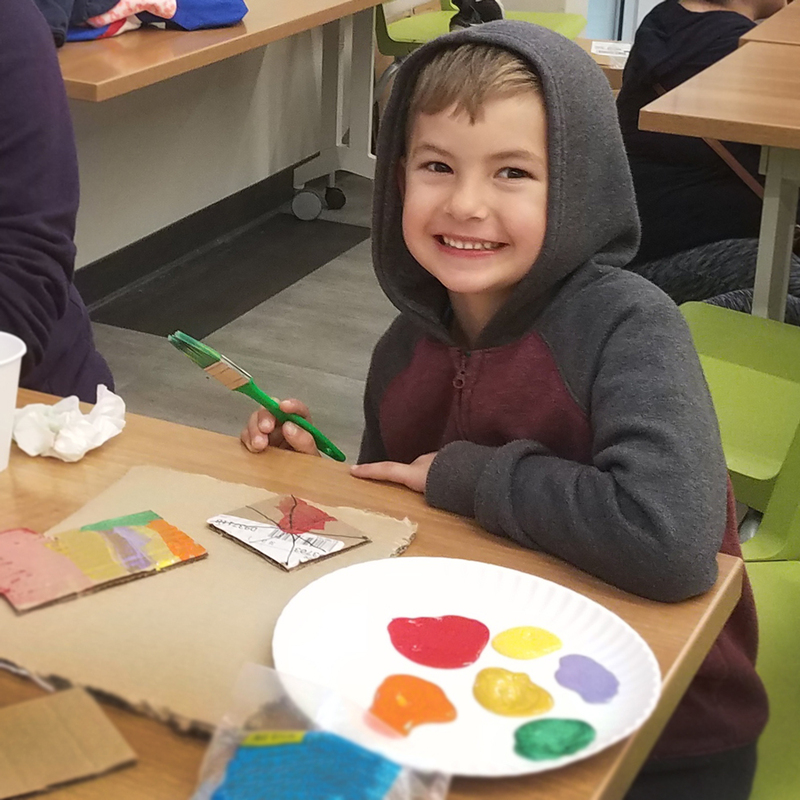 Of interest to families with kids of different ages, a teen craft time is held at the branch during the same hour.